The course is designed to facilitate competence in the neuro-ophthalmic examination, diagnosis and management of common neuro-ophthalmic conditions. Objective of the course: To be able to Diagnose and Treat Neuro-opthal disorders. Eye care providers will often encounter patients with neuro-ophthalmic conditions. These conditions may result in permanent visual loss and even death. It is essential that one be familiar with these conditions and have knowledge of how to recognize, diagnose and treat these potentially devastating problems. This course will cover the most common, critical and potentially deadly neuro-ophthalmic maladies that every eye care provider will encounter. The main topics covered include optic nerve and pupil abnormalities, conditions that affect ocular motility, occult visual loss and neuro-ophthalmic manifestations of selected systemic diseases. Each section will include examination techniques, crucial neuro-ophthalmic signs and symptoms, clinical findings and appropriate management. Numerous videos, clinical photographs and imaging studies are used to illustrate relevant abnormalities. Quizzes throughout the course will ensure knowledge transfer and ultimately facilitate the participant’s familiarity with a wide variety of neuro-ophthalmic conditions. Dr. Karl Golnik is a Professor & Chairman of the Department of Ophthalmology at the University of Cincinnati and the Cincinnati Eye Institute. He is a Fellowship at Wilmer Eye Institute and practiced Neuro-ophthalmology exclusively for 26 years. Dr.Golnik has published more than 120 papers in neuro-ophthalmology and medical education. 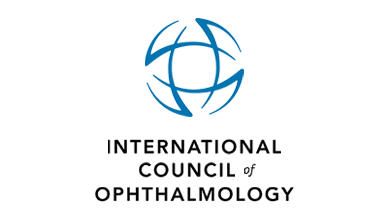 Currently he serves as the International Council of Ophthalmology’s Director for Education. Dr. Ama Sadaka is an Ophthalmologist and assistant professor at the Lebanese American University Medical Center Rizk Hospital in Beirut, Lebanon. She completed her Medical Degree from the American University of Beirut(AUB) and Ophthalmology Residency at University of Cincinnati. She earned neuro-ophthalmology fellowship at Houston Methodist Hospital along with oculoplastics training. Recognize normal and abnormal optic discs and characterize the abnormalities. Describe diagnostic and management considerations for the most common optic neuropathies. Identify normal and abnormal pupils and be able to characterize pupillary abnormalities. Describe the basics of the ocular motility examination and identify common ocular motility abnormalities. Describe an approach to the patient who has visual loss or symptoms but has a “normal” examination. The course is organized into 6 modules. You can start on any date and enter the course 24 hours a day. Depending on your previous knowledge, you can go through it in 6 weeks using 2 to 3 hours a week. You will have 12 months to complete it. Yes, some background knowledge pertaining the subject will be necessary. This course is directed towards MBBS/MD doctors who have done their post-graduation in Ophthalmology as well as Ophthalmology residents.